Our expectation of and desire for both the defeat of evil and the manifestation of God’s glory is a valid outworking of our faith, but our understanding of that faith itself is often flawed. 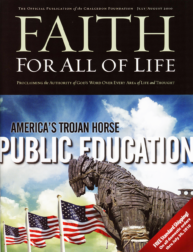 We presume the legitimacy of man’s rebellion when we tolerate the common but false contrast of faith versus reason. 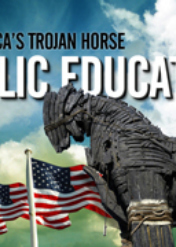 America is Troy; our public education system is the Trojan horse. Why did Augustine choose such a life? How could a young man, so proud of his great intellect and capabilities as a lecturer, so misled by popular heresies, find himself completely committed to Christ and serving Him in every area of life?